The newly expanded Mostyn in Llandudno, which opened following major building work in 2010, provided a dramatic backdrop for the powerful work of German artist Anselm Kiefer. 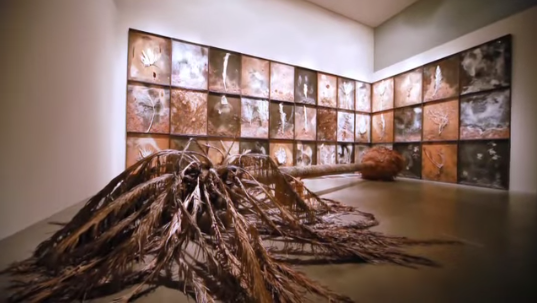 It was the first time Kiefer's work has been shown in Wales. As well as presenting a range of the artist's work held in ARTIST ROOMS, such as the monumental Palm Sunday (Palmsonntag) 2006 the show explored themes in Kiefer's work that resonate with the culture of Wales, particularly in relation to notions of the weight of mythology and history, and their deep links with the landscape.